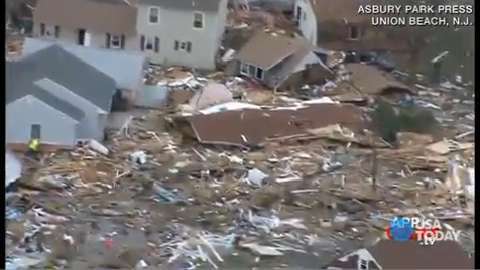 Early this morning, I was watching an online news report of the damage along the New Jersey coast as a result of Hurricane Sandy. In the way the report was edited, every person in the story began with the same words: “I’ve never seen anything like this.” I will add my words to the news report that even from more than a thousand miles away, I have never experienced anything like what many people are experiencing today. I have experienced challenges. I have been in the midst of experiences that I did not want to have. I have been in the midst experiences where I did not know how it would end. I have been through experiences that did not end well for me. That’s why I still cling to Psalm 121:3. He will not let your footslip… The writer does not mean literally or physically, because I have slipped and even fallen. I have gotten hurt physically. But even when the way of life is treacherous and uncertain, God has never let go. Even when I have wandered and tried to wiggle my way out of God’s grasp, God has never let go. the Lord will watch over your coming and going both now and forevermore. Psalm 121:8 Amen.